This week on Friday finds, I am sharing my favorite candles and accessories. It is my sincerest belief that a room with out candle light on a chilly dark night just feels drab. Candle light brings a warm glow to any room and adds a welcomed flair of romance. Every thing just feels cozy when the dancing flickering flame bounces around the walls illuminating the room with a soft glow. Whether it’s a scented candle or a few unscented votives, bringing in candles just warms a room. I read once that Albert Hadley suggested that candle light be spread about a room rather than be clustered in one central place. I love this idea. A table set with three candles of varying heights complimented by a few smaller candles placed on accent tables brings a beautiful over all glow to a room. I love the idea of turning old wine bottles into hurricanes to diffuse the candle light. It creates a soft warm glow. This idea is also wonderful for burning citronella candles out side. The glass and narrow bottle opening keeps the wind at bay. It’s perfect for outdoor dining with unscented candles as well. Colin Cowie always has amazing ideas too. Placing candles on a mirror enhances the light of the candles by reflecting it upwards. Such a sweet idea. My go to has always been the tea light. 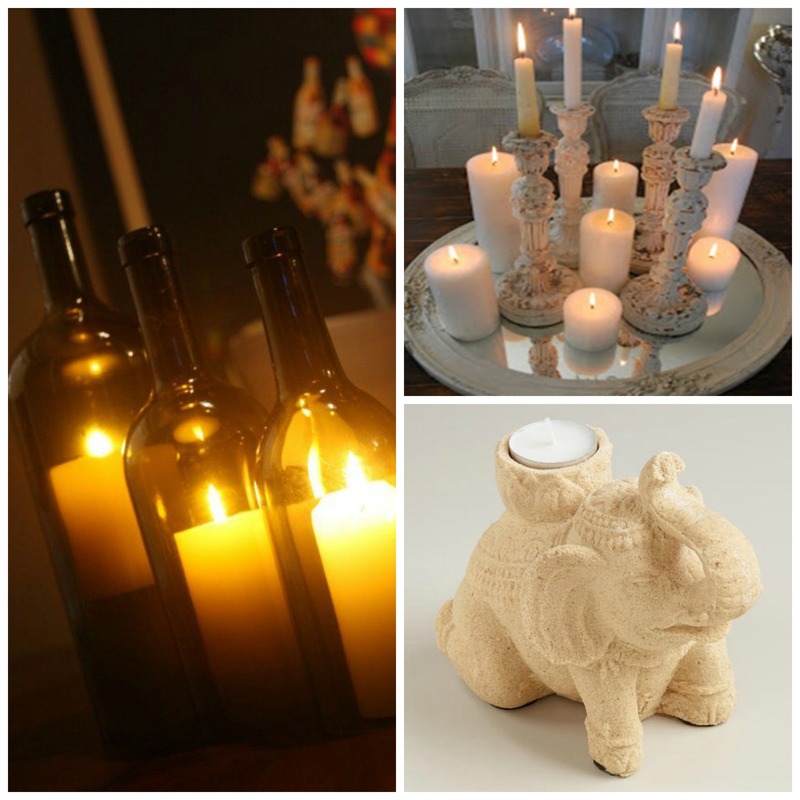 Tea lights are small candles that can easily be inserted into decorative accents like the elephant. They provide just enough light to be an enhancement without burning too hot and giving off too much heat. Tea lights can be found scented or unscented. Any home that burns candles regularly needs a pair of wick trimmers. They are helpful in removing the creosote from the top of the wick and lets the candle burn more cleanly. 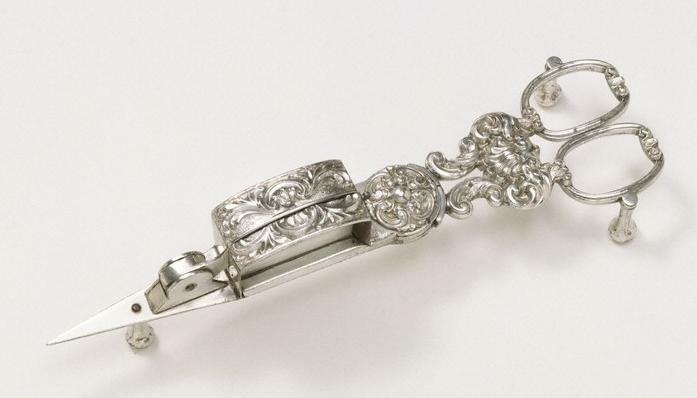 Wick trimmers can be simple or more ornate. The choice is yours. I have a couple and much prefer the more decorative one as it sits nicely on a tray along with matches. The one above features a snuffer as well. 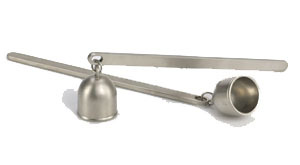 Snuffers are wonderful for zapping the oxygen from the flame to safely put out the candle. Often times I have the urge to just blow out the flame. This approach is ok with jar candles, but not recommended for tapers. Once I accidently blew wax all over the table. It was such a mess to clean up! It’s hard to say I have a favorite scented candle company. 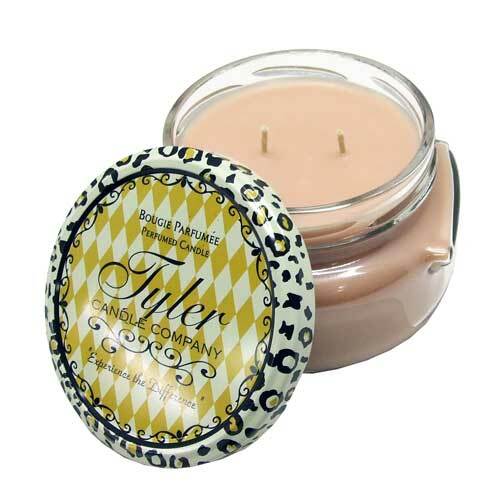 I adore Tyler candles. They are made of soy and the scent is strong enough to waft through several rooms in the house. The one draw back is the cost. Lately they have been a budget buster for me. I recently discovered a line of soy candles at Target that are more budget friendly and also have a strong but not overpowering scent. Sweet Spun Sugar is my current obsession. It’s like taking a walk through the midway of a carnival and smelling cotton candy.